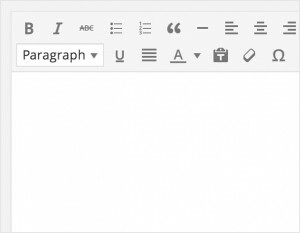 With quicker access to crop and rotation tools, it’s now much easier to edit your images while editing posts. 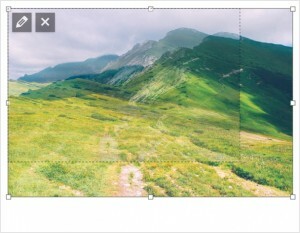 You can also scale images directly in the editor to find just the right fit. Uploading your images is easier than ever. Just grab them from your desktop and drop them in the editor. 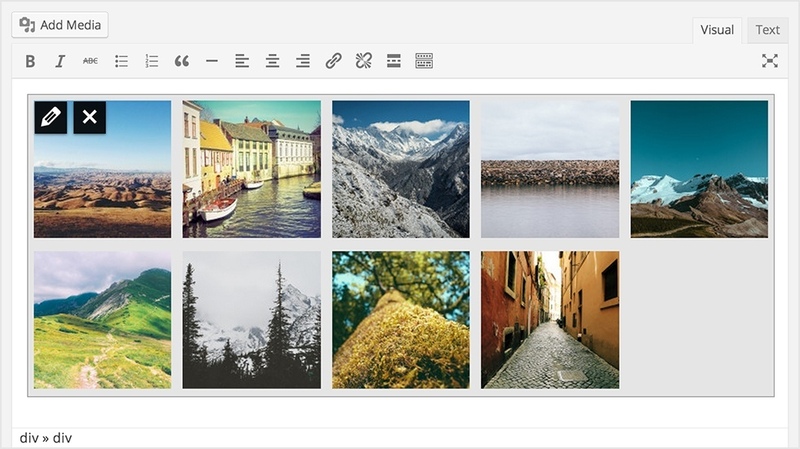 Galleries display a beautiful grid of images right in the editor, just like they do in your published post. Images have galleries; now we’ve added simple audio and video playlists, so you can showcase your music and clips. Add, edit, and rearrange your site’s widgets right in the theme customizer. No “save and surprise” — preview your changes live and only save them when you’re ready. 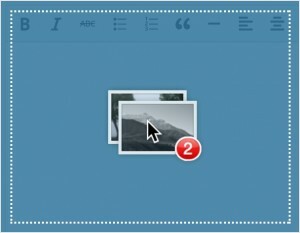 The improved header image tool also lets you upload, crop, and manage headers while customizing your theme. Looking for a new theme should be easy and fun. 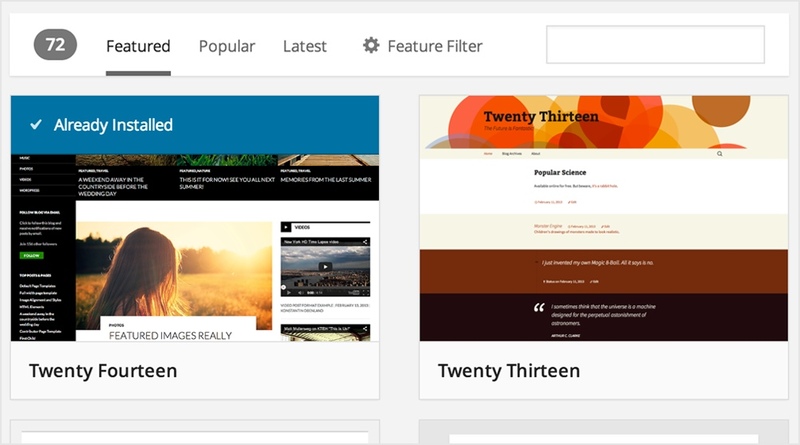 Lose yourself in the boundless supply of free WordPress.org themes with the beautiful new theme browser. Aaron D. Campbell, Aaron Jorbin, Adam Harley (Kawauso), Adam Silverstein, adelval, Ajay, Akeda Bagus, Alex Concha, Alex Shiels, Alison Barrett, Allan Collins, Amy Hendrix (sabreuse), Andrea Fercia, Andrew Nacin, Andrew Norcross, Andrew Ozz, Andrey "Rarst" Savchenko, Andy Keith, Andy Skelton, Anton Timmermans, Aubrey Portwood, Barry, Bartosz Romanowski, bassgang, bcworkz, Ben Dunkle, Bernhard Riedl, bigdawggi, Bob Gregor, bobbingwide, Brad Touesnard, bradparbs, Bram Duvigneau, Brandon Kraft, brasofilo, bravokeyl, Bryan Petty, cgaffga, Chirag Swadia, Chouby, Chris Blower, Chris Marslender, Chris Olbekson, Chris Scott, chriseverson, chrisguitarguy, Christopher Finke, ciantic, Comparativa de Bancos, Connor Jennings, Cor van Noorloos, Corphi, cramdesign, Daniel Bachhuber, Daniel Jalkut (Red Sweater), Danny de Haan, Daryl Koopersmith, Dave Kellam (eightface), DaveE, David A. Kennedy, David Anderson, David Marichal, Denis de Bernardy, Dion Hulse, Dominik Schilling, Doug Wollison, Drew Jaynes, DrProtocols, Dustin Filippini, eatingrules, edik, Eduardo Reveles, Elio Rivero, enej, Eric Lewis, Eric Mann, Erica Varlese, Erick Hitter, Evan Anderson, Fahmi Adib, fboender, Frank Klein, Gary Cao, Gary Jones, Gary Pendergast, genkisan, Gennady Kovshenin, George Stephanis, Graham Armfield, Grant Mangham, Gregory Cornelius, Gregory Karpinsky (@tivnet), hakre, hanni, Helen Hou-Sandí, ippetkov, Ipstenu (Mika Epstein), J.D. Grimes, Jack Reichert, jameslee, Janneke Van Dorpe, janrenn, JayCC, Jeff Sebring, Jen, Jeremy Felt, Jesin A, Jesper Johansen (jayjdk), jnielsendotnet, Joan Artes, Joe Dolson, Joe Hoyle, John Blackbourn, John James Jacoby, John P. Bloch, John Regan, Jon Cave, Jonas Bolinder (jond3r), Joost de Valk, Josh Pollock, Joshua Abenazer, jstraitiff, Julio Potier, Justin Kopepasah, Justin Sainton, K.Adam White, Kailey (trepmal), Kaspars, Kelly Dwan, kerikae, Kevin Worthington, Kim Parsell, Kirk Wight, kitchin, klihelp, Knut Sparhell, Konstantin Kovshenin, Konstantin Obenland, Krzysiek Drozdz, Lance Willett, ldebrouwer, Lee Willis, lpointet, Lucas Karpiuk, Luke Woodward, Mario Peshev, Mark Barnes, Mark Jaquith, Marko Heijnen, Marventus, Matt (Thomas) Miklic, Matt Banks, Matt Mullenweg, Matthew Boynes, Matthew Denton, Matthew Haines-Young, mattonomics, mattyrob, Matías Ventura, Max Cutler, mcadwell, Mel Choyce, meloniq, Michael Arestad, Michel - xiligroup dev, Miguel Fonseca, Mike Burns, Mike Hansen, Mike Manger, Mike Schinkel, Mike Schroder, mikecorkum, mitcho (Michael Yoshitaka Erlewine), Mohammad Jangda, Morgan Estes, Morten Rand-Hendriksen, Naoko Takano, Nashwan Doaqan, nendeb55, Nick Halsey, Nicole Arnold, Nikhil Vimal (NikV), Nivi Jah, Nuno Morgadinho, olivM, Omer Korner, OriginalEXE, patricknami, Paul Bearne, Paul Gibbs, Paul Wilde, pavelevap, Peter Westwood, Philip Arthur Moore, Pippin Williamson, Prasath Nadarajah, prettyboymp, Raam Dev, Rachel Baker, Ram Ratan Maurya, ramonchiara, Rescuework Support, Rhys Wynne, Ricardo Correia, Richard, Richard Sweeney, Richard Tape, Ricky Lee Whittemore, Robert Chapin, robmiller, Rodrigo Primo, romaimperator, roothorick, Ruud Laan, Ryan Boren, Ryan McCue, Sal Ferrarello, Samuel Wood (Otto), Sandeep, Scott Lee, Scott Reilly, Scott Taylor, ScreenfeedFr, scribu, sdasse, Sean Butze, Sean Hayes, Sean Nessworthy, Sergey Biryukov, shahpranaf, Shaun Andrews, ShinichiN, Simon Prosser, Simon Wheatley, Siobhan, Siobhan Bamber (siobhyb), sirzooro, solarissmoke, sonjanyc, Spencer Finnell, Spencer Piontkowski, stephcook22, Stephen Edgar, Stephen Harris, Steve Bruner, Steven Word, Takayuki Miyauchi, Tanner Moushey, Taylor Lovett, tbrams, TobiasBg, Tom Auger, Tom Willmot, Topher, topquarky, Torsten Landsiedel, Toru Miki, Travis Smith, Umesh Kumar, undergroundnetwork, VarunAgw, wawco, Weston Ruter, wokamoto, xsonic, Yoav Farhi, Yuri Victor, Zach Tirrell, and Ze Fontainhas. Also thanks to Michael Pick for producing the release video. If you want to follow along or help out, check out Make WordPress and our core development blog. Thanks for choosing WordPress. See you soon for version 4.0!